We’ve created this resource to arm you with data-driven insights, innovative solutions and key healthcare trends that can deliver higher quality healthcare and significant cost savings for your organization and employees. Explore the information below to learn more about recent healthcare developments and how you can work with your health plan partner to maximize your healthcare investment. Planned orthopedic procedures are becoming increasingly common among Americans ages 35 to 64, costing over $25B in 2017. 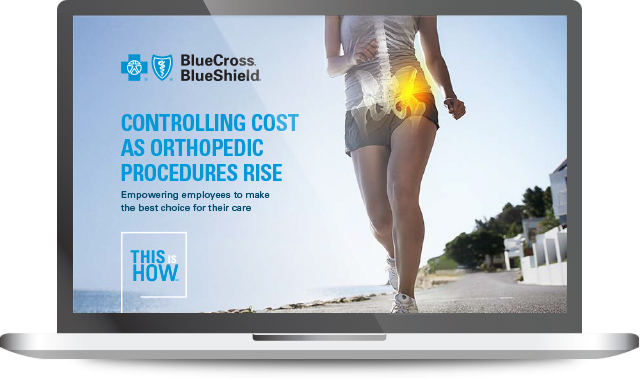 Learn more about these trends in orthopedic care and how they can impact your organization. Are there ways for you to reduce the cost and improve the quality of healthcare for your employees? 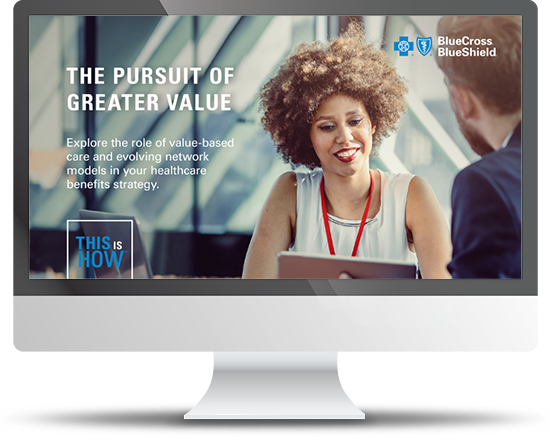 Explore our eBook and additional resources to learn how a fundamental shift from volume-based to value-based payment models can benefit your organization. Whether you have 50 or 50,000 employees, Blue Cross and Blue Shield companies can provide a comprehensive healthcare solution that’s strategically aligned to meet your business goals and the needs of your employees. By leveraging data-driven insights gained from the healthcare experiences of one in three Americans, the Health of America initiative provides essential research and analysis aimed at reducing healthcare costs, inspiring quality care and enabling communities to spark real change. Let’s work together to create smarter, better healthcare solutions for you and your employees. Connect with a local BCBS company below.